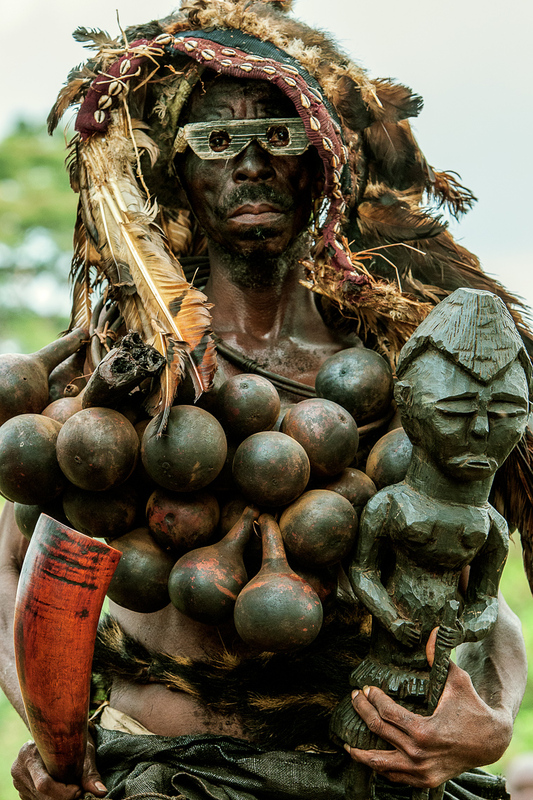 Kuba sorcerers wear necklaces of calabashes filled with magical potions. The sorcerer pictured on the left holds a carved figurine linking him to the powers of the ancestors and providing protection for the village. His carved eyeglasses add an element of intrigue.